Editorial credit: City of Angels / Shutterstock, Inc.
Let me first discount any accusations that I am being paid by Walmart to extol their virtues. Not that I would have any aversion to doing so, I just haven’t been asked. Be that as it may, I would like to defend WaMart simply for being the epitome of the American Dream. When a company gets an idea and implements it in such a way that there are millions of satisfied customers and thousands of people have obtained a job, who can fault this approach? Certainly the critics of Walmart haven’t done anything close to this level of achievement. Most certainly the government officials cannot claim they have produced anything that matches the quality of goods and services Walmart does. But with a successful enterprise comes the slugs that know how to criticize and can tell someone how to run a business but can’t create one of their own. Harping about what a successful business should do is a presumptuous attitude that betrays those who want to direct without earning the privilege. Walmart has fulfilled a need today that many smaller chains fulfilled before. They have provided a rich array of goods and services that would be unimagined by consumers only a few decades ago. They have provided mall shopping where there are no malls. They have captured the imagination of developers and struggling towns and municipalities who have seen their tax base grow, their citizens employed and an influx of support businesses all adding to the prosperity that would not exist except for Walmart. The logo of Walmart “ Always Low Prices” shows a determined effort to satisfy the frugal shopper while maintaining a viable efficient loyal workforce which is the balancing act all businesses must perform if they are to minimize their costs in order to make their prices more attractive to the competitive shopper. But the unionized mind concludes that if there is prosperity and success, this is an opportunity to cash in by putting the squeeze on the organization by insisting a negotiating party is necessary and will somehow provide a benefit to the workers that they could not achieve by themselves. A management that treats its employees fairly and gives the employees a voice, has no need for an extra organization with a track record of overpricing the labor force and causing disrupting strikes and eventual shut downs. This has been the overwhelming result of negotiating via a threat and if allowed in Walmart will only open the way for those firm on non-union management of other businesses to act on this proof. In the American system ( which by the way is not full blown capitalism ) a business that thrives and prospers does so because it has a good customer base and continues to satisfy customers. As these satisfied customers tell others about their preferences and bargains the stores begin to grow and spread. They are welcomed for the money they bring to the community. Walmart is not a nationalized fiasco like Amtrak. Amtrak loses customers every year and runs in the red all the time. They are late more than they are on time. The facilities are often dirty and in disrepair. As a former Amtrak traveler I can attest to the deterioration through personal experience. I can also attest that I have yet to enter a Walmart where the personnel are rude, appear dissatisfied and are not enthusiastically trying to help the customer. This is a remarkable achievement and in no other political system could this phenomena exist except to have the freedom to use their best judgement regarding the wants and wishes of their customers and employees. The dictates of government cannot provide this abundance. Go stand in line in a government office with a cardboard sign insisting you take a number ( even if you are the only one there ) and you see the contrast of free enterprise and a nationalized business. Walmart has even perfected a self check out process. Try to get the government to innovate in such a fashion. The politicians think they can improve on business success by interfering and meddling with all aspects they think will be politically acceptable to some mob demanding the remedy via government for a perceived injustice. The reality is their regulations and taxes only serve their growth and power which in turn diminishes the ability of the individual and the private citizen to increase their standard of living. They talk as if the regulations that didn’t exist fifty years ago would collapse the welfare of America if they didn’t exist today. They never review the laws for rejection but only try to pile on more and more restrictions ( look at the tax code ). They do not promote progress. Their only job is to protect private citizens and they think they have a mandate to run everybody’s life. But private companies operate on a very different principle. They offer voluntary participation in what they have to offer and they try to reach those who are dissatisfied with a purchase. When did you get a government clerk to say, “ I’m sorry for the inconvenience and we’ll refund your money”. It is not the every day shopper or the employee that is complaining about Walmart but a cadre of snobby “intellectuals’ enamored with the fantasy of egalitarianism. These and the storm troopers abounding in the media willing to attack any success with the same aplomb they relish for imploding buildings. The distain the majority of the populace has for politicians is ignored as the media interviews and patronizes the inane opinions of would be tyrants that constantly seek higher and more powerful offices and dirt to degrade anyone who might challenge their ambitions. Meanwhile the happy shoppers examine and purchase the vast array of goods and services the mega-giant of retail displays. All of which is produced by the ignored production facilities supplying the shelves until the cynical media and an attention crazed politician can point out a flaw that must have national attention. Surviving and prospering in this cultural swamp is another reason to glorify the courage and determination of Walmart. They are winning is spite of the lack of recognition they deserve from the undermining louts that utilize their convenience and abundance while hoping for a smear they can point to and exploit. Success in America should be a cause for rejoicing, not cynical admonitions and finger pointing. Martha Stewart, Bill Gates and countless others have had to face the public stoning the media and the “intellectuals” have unleashed when they thought they could bring the successful down to their level. Instead of admiration for their successes those who sit in corners and pooh pooh the effort and mental ability that success requires, these neuron disabled creatures whimper for a model that failed in Soviet Russia. The “fairness” of no one arising above the mob. They fail to mention the rulers who via corruption starved the vanished middle class and pompously rationalized their reign of terror. But this is what they wish to equate with the success of Walmart. They cannot distinguish between the values Walmart offers and the deprivation that tyrants thrive on. And where do they get such notions and ideologies? Where else but from the halls of higher learning infected with ancient bromides of archaic ideas,American universities. Here the would be executives of tomorrow are taught that it is not to the shareholder or the customer where effort should be expended but to the downtrodden who need handouts and day to day sustenance. This is the duty of successful enterprise to flaunt humbly their ability and willingness to bring the unwilling and effort avoiding beggars into the fold of success which they have had no part in achieving. Walmart is to succumb to the tyranny of polls that contradict their knowledge of market research that proves what customers are concerned about. 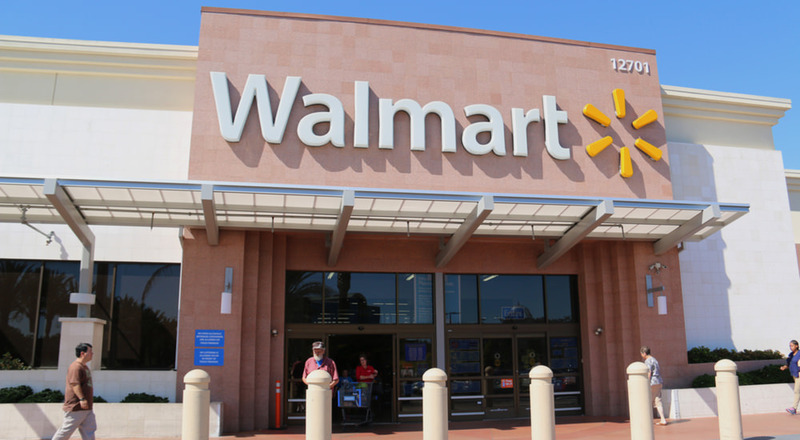 Walmart is to exist at the whim of the bureaucrats and the never ending legislation that demonstrates the “humble” politician can challenge the big and powerful enterprise. It is not Walmart that is pointing a gun at the head of the customer . It is the political thugs that are pointing a gun at the head of Walmart. In the world of tomorrow when the rationing of an inept government controlling every aspect of individual life runs rampant, there will be tales told to children how the benefits of the chains of Walmart across the nation were replaced with the chains of government intervention in the market place and abundance became shortages. Walmart then will be only a memory and a fantasy and the queues for stale bread will be the reality and the glory of the propaganda will no longer have any credibility. And some small child will innocently ask, “ Why did no one speak up for Walmart?” And there will be no rational answer that can be given. But in the minds of the parents will arise the question, “ Maybe it was not success and abundance that we wanted?” It is to the glory of Walmart that we have the choice today to see success and endear it for the future. If we will but recognize what has been shown to be possible from the vision of an individual private citizen, Sam Walton.